I rarely order fish when dining out. Why? Well I guess I am never sure how fresh it is and fish is one of those things that defines simpler is indeed better. 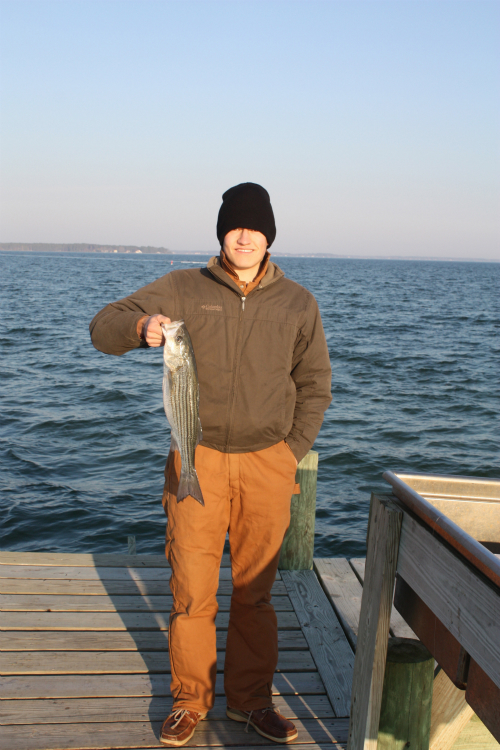 So a week ago I headed out with my son and my good friend on the Rappahannock river to catch rockfish (or striped bass). It is the time of year when they are in season (until December 31st) and you can get some cold days or some really nice days on the water. This turned out to be closer to the latter. 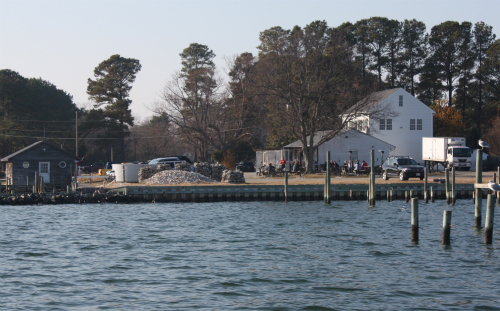 My grandparents had a place on the Potomac river and my grandfather would go out and come back with dozens of rockfish which he would clean and prepare fresh. 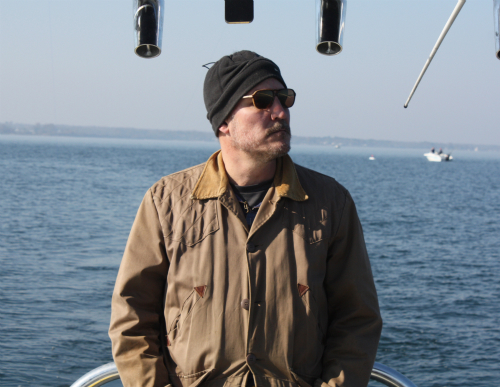 I found it only fitting to don my grandfather's hunting jacket from the 60's for the above "Old Man and the Sea" pose. Well my son being the "Young Man of the Sea," turned out to be the only one to hook up one of these beauties. Nonetheless it was an amazing with time well spent. After trolling for several hours you tend to work up an appetite and pulling up to the docks at Merroir is the way to go on these parts of the water. 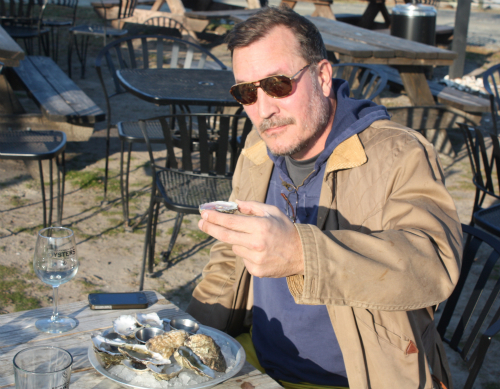 I have talked about this place before as it is the home of Rappahannock River Oysters, which has some of my favorite oysters of all — Olde' Salts! The menu is simple and satisfying after being on the water. 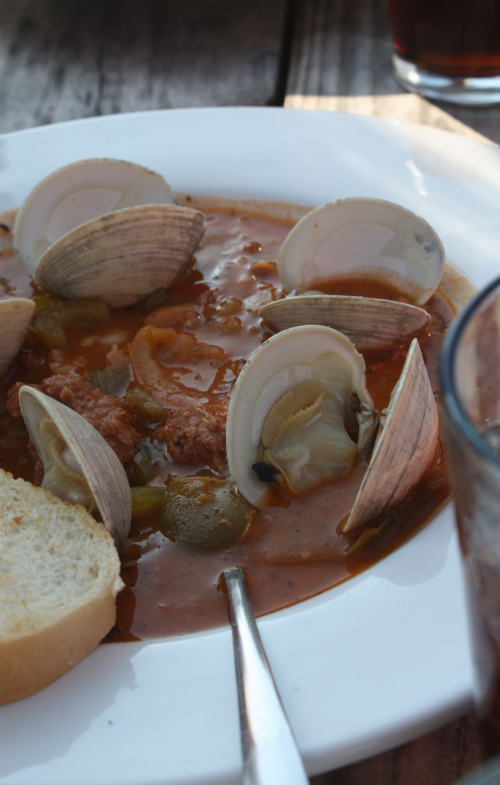 They use locally sourced ingredients and I am not just talking about the seafood — above we have a lamb and clam stew. The lamb is sourced from Border Springs Farm in Patrick Springs, Virginia. 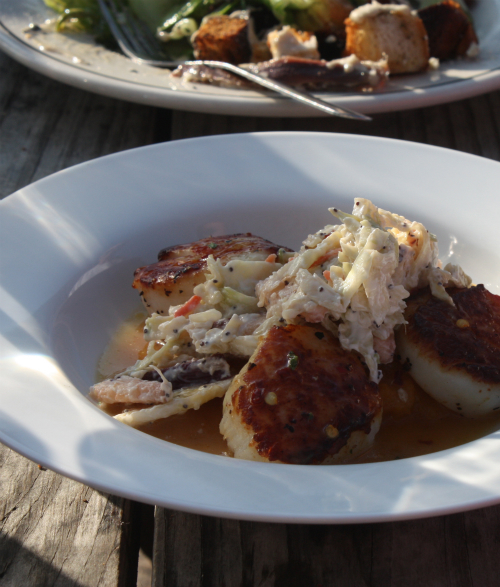 The next dish is a seared sea scallop with butternut squash — apple poppy seed slaw. Of course I had to toss a few of my favorites back and after filling ourselves silly it was time to head back to clean a fish and prepare dinner for Sunday night. 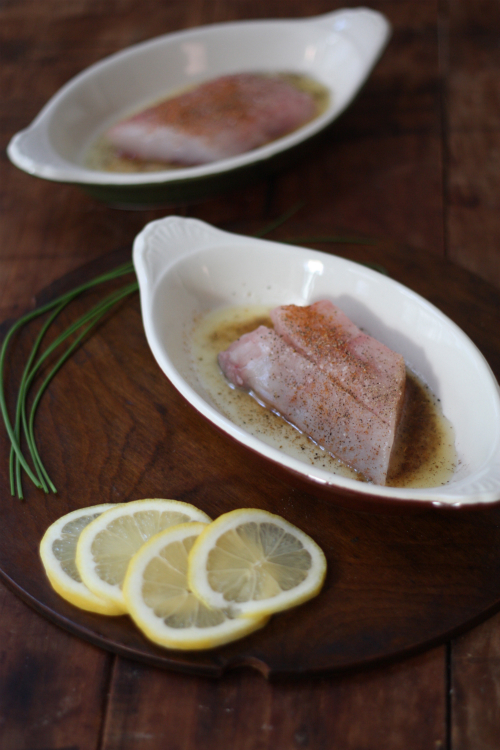 Once I cleaned and filleted the rockfish I simply sprinkled the fish with salt and fresh pepper, melted some butter in a dish, adding some old bay seasonings and placed the fish under the broiler for 5- 8 minutes. 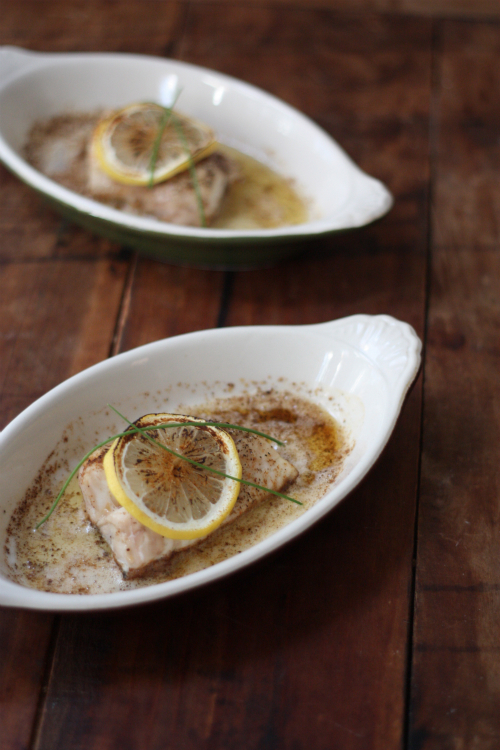 Removing from the oven, I added some fresh lemon and dinner was served. Fresh fish really doesn't need much more preparation than that! What fish are in season that you catch and what is the best preparation you have for them? Yes, freshly caught fish is always best! That rockfish looks amazing. 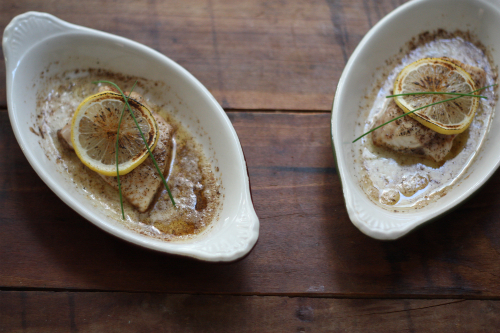 I remember eating just-caught perch as a kid on vacation--that was the greatest. Nowadays I'm lucky enough to have a hunting & fishing brother-in-law and father-in-law, so we occasionally get to have some of their salmon. Eileen, I grew up catching what my grandmother called stiff back perch or white perch and man could she fry those up! Loved them.